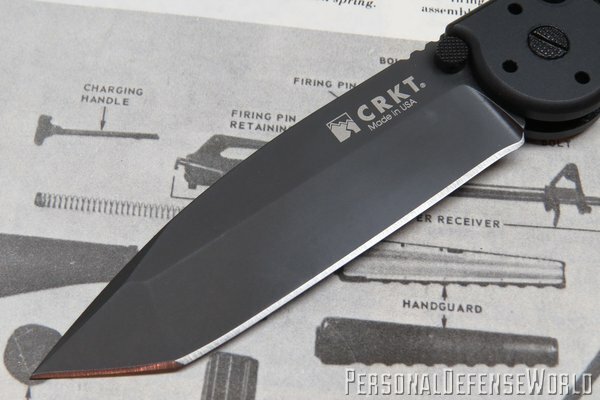 The M16-04A is CRKT’s first foray into the world of fully automatic knives. It’s only appropriate that their first step be with a variation of Kit Carson’s M16-series knives! 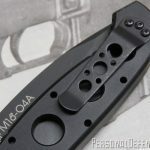 The M16-04A is activated by means of a push button located on the left scale of the knife. A very handy toggle safety is fitted to the spine. This CRKT auto has a subdued pocket clip set up for three way carry. The user can set it up however works best for them. 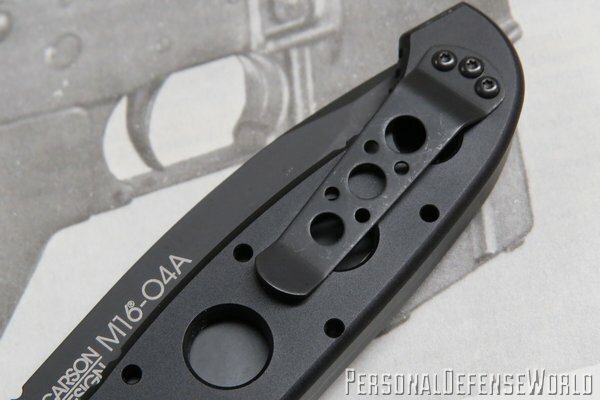 A 4-inch modified tanto blade of 154CM steel is fitted to the M16-04A. The entire knife is also 100% made in the USA. 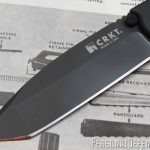 Most are assuredly aware of the very successful series of Kit Carson designed M16 folders that Columbia River Knife & Tool (CRKT) has been making for over a decade now. 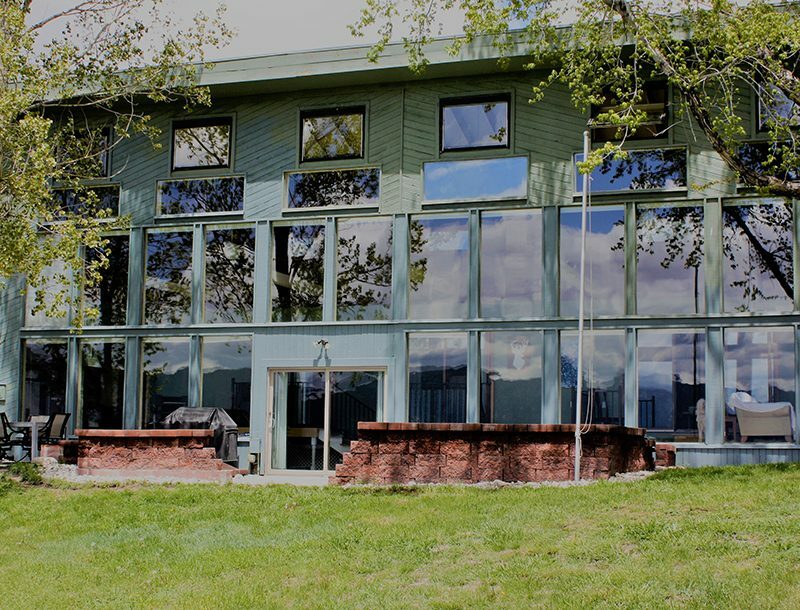 But just because the basic design has been around for a while doesn’t mean that it hasn’t kept evolving with the times. 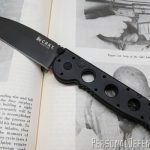 It seems like every year CRKT has tweaked, improved or built on the basic M16 design, and this time they’ve used the platform to come out with a first for the company, a fully automatic opening design. 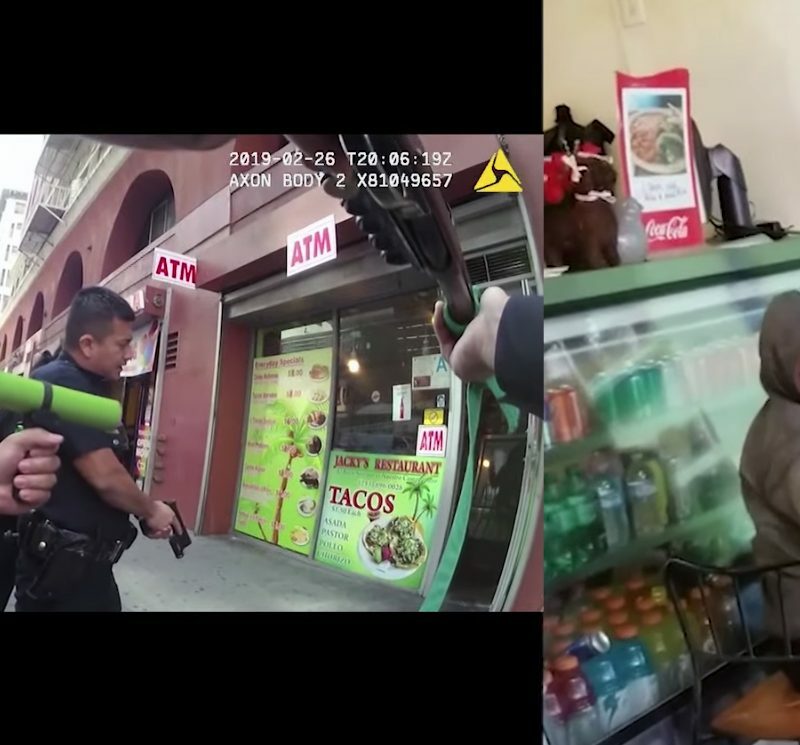 At a glance the M16-04A looks much like other models in its family. It features a 6061 Type III anodized aluminum handle with the classic multi-hole pattern common to all of the knives in the series. 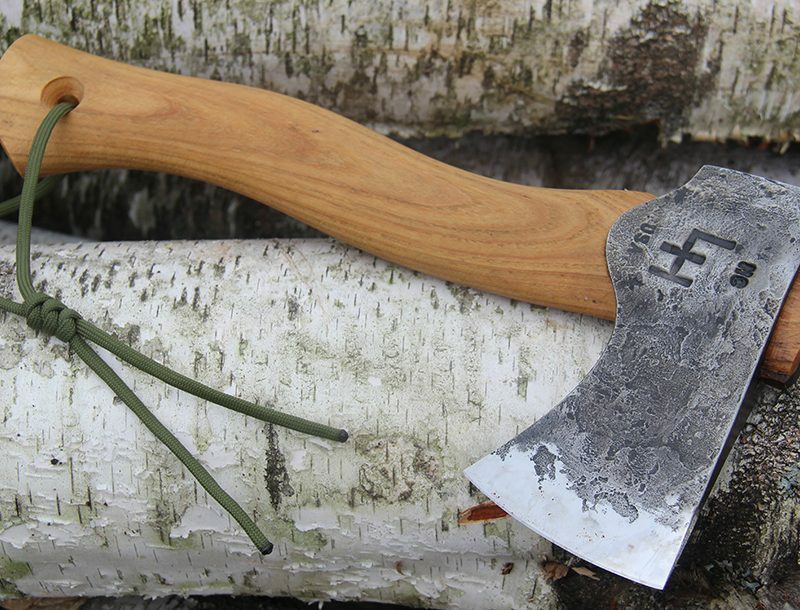 The blade is a 4-inch long modified tanto style of 154CM steel treated to a 58-60 Rockwell. The 04A comes in plain edge with high, flat grind and a black matte Diamond Like Carbon coating. 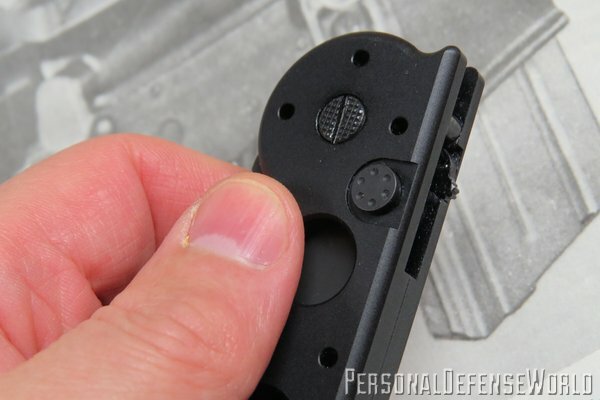 A three-way pocket clip, drilled in a pattern that matches the handle holes, is affixed and comes set up for right hand, tip up carry from the factory. The 04A is a good-sized knife with an overall length of 9.25 inches and a closed length of 5.31 inches. Weight is right at 5 ounces. 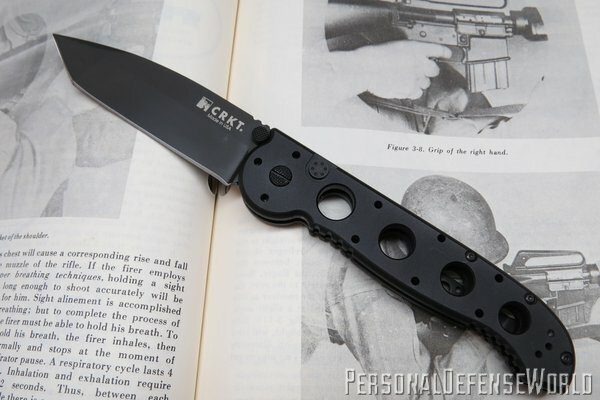 Essentially, what we have so far is the basic, popular and successful CRKT M16 style that folks are familiar with. Where things get different is with the opening and locking mechanism of the 04A. Unlike its manually operated brethren, the 04A opens via a push button mechanism located on the left hand scale of the knife. Depressing the button opens the blade smoothly, without the recoil often seen on side opening autos. 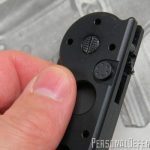 The firing button also incorporates the button locking mechanism of the knife. A patented, spine mounted, manually operated safety is also present, which can keep the blade from opening inadvertently during carry and can also be engaged to keep you from accidentally disengaging once the blade is in the open position.